Allie Jett, a partner in the firm's litigation practice, represents governmental, individual, and corporate clients in a wide range of real estate-related disputes on both the trial and appellate levels as well as general counseling regarding best practices and risk mitigation outside of litigation. She has extensive experience in litigating contract, title to real property, ad valorem property tax, probate estate, and boundary/easement disputes. Allie often provides title insurance claims and coverage counseling and represents title insurance companies and their insured. She also frequently acts as a court-appointed Special Master in quiet title proceedings. Allie is admitted to the bar of all State of Georgia Courts, Northern District of Georgia Federal Courts, and the state courts of South Carolina. Book on Real Estate Contracts in Georgia and she is a frequent contributing author to the monthly publication, the Georgia Real Estate Law Letter. 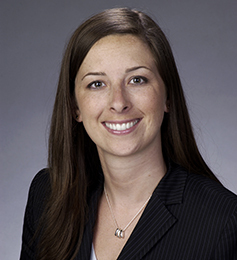 Allie has been named a “Georgia Rising Star” by Super Lawyers Magazine (every year from 2012 to 2017). “How to Avoid Becoming Unintentionally Entangled in a Mortgage Fraud Scheme,” Lorman Education Services, 2008.